Come out in the snow! Yes, I have the first couple lines, as well as the rest of P.D. Eastman’s children’s book Snow memorized. Did you ever read it growing up? About the two children and their dog, and the snow? That book is high on my list of great children’s books, along with Go, Dogs, Go! It is a book which I’ll definitely read to my children. Whenever it snowed, my mother would read it to me. And, whenever she did, I had to be eating cottage cheese. Not plain either. Cottage cheese with Ranch Dressing. Odd, I know. But to the five year old, cottage cheese looks like snow (well, at least my five year old mind). At one point, and to a certain degree, snow was fun. Making snowmen, snow angels, going sledding, creating forts out of the snow. 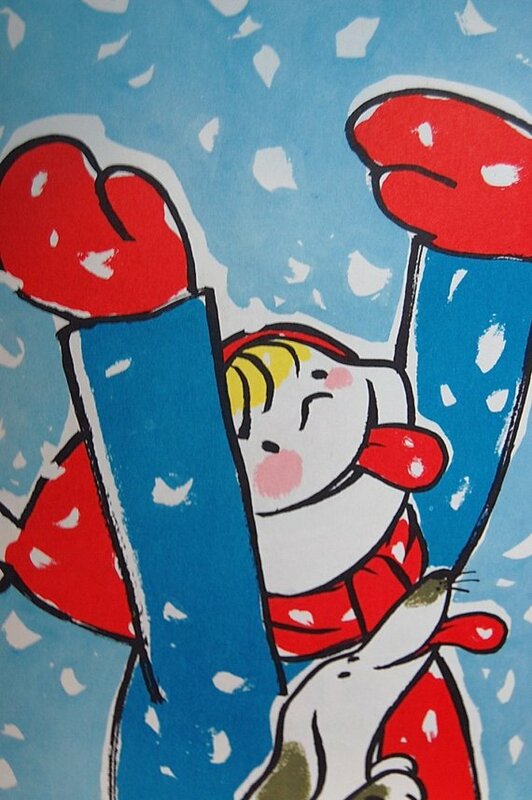 I’d spend hours outside all bundled up in a snowsuit like the pillsbury doughboy in the snow with my siblings. Such great fun. Looking straight up into the sky, mouth wide open, eyes tightly shut, waiting to taste the first couple snow flakes floating lazily from the sky, and then feeling the cool, slightly metallic flurry fall on your tongue and melt. We never had a snow day, but that did not matter. Snow was awesome. As an almost-adult, I think my views of snow have changed. The Northeast has gotten slammed with snow storm after snow storm. I know kids must be ecstatic with snow days. But, its February, and I think I’m tired of the snow. It makes life more complicated, especially when your vocation does not allow you to have snow days. Yes, good news for you: hospitals stay open through all types of weather. As the hospital’s nursing supervisor said the other night, “You don’t become a nurse in the Northeast if you are a wuss and afraid to drive in the snow.” Actually, if you don’t like driving in the snow, you should just stay away from this area.Period. Snow seems to makes everything difficult driving on snowy, poorly plowed roads can be rough, even with four-wheel drive. Shoveling a maze to your front door–which, we all have learnt–is very hazardous. Businesses close down which you really needed to stay open, such as the gym or pool, because training for races does not stop. Still, despite good things that can come out of the weather of ours, I think I might be ready for spring to come. Soon. Like, tomorrow. I will always have homemade cookies if it means I get to see more of you Miss Molly.